Jackson is in Kindergarten this year. Yes, Kindergarten! He's in this wonderful three day program at the same little church he's been attending Mother's Day Out and 2-day preschool since he was one. Every Tuesday afternoon their teacher invites guest readers to come read a book and if they want to, do an activity or eat a fun snack. 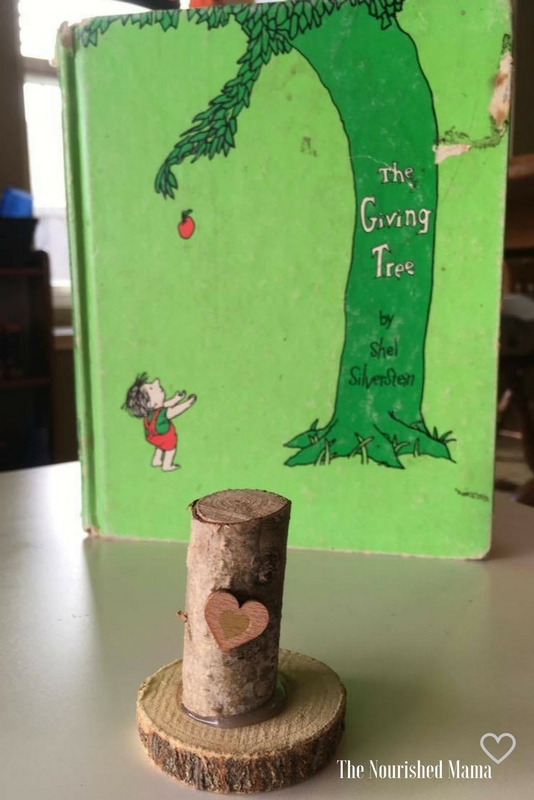 Last week was apple week and my husband Jared read The Giving Tree by Shel Silverstein to the class...the same copy my mom bought us used as a child. We made the cutest little giving trees with the kids afterward out of supplies I found last minute at Hobby Lobby. With a little time, a saw and some tree branches, you could make these for almost nothing though. 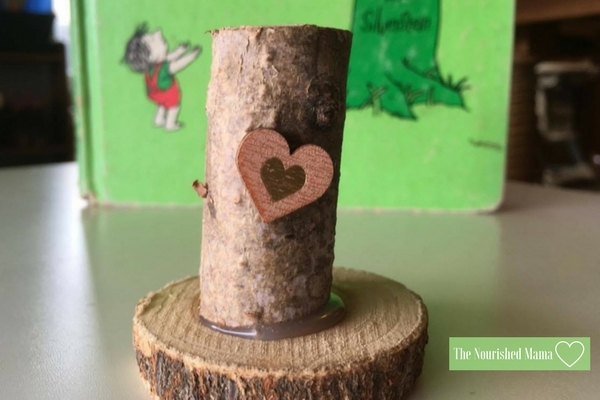 All you need are wooden discs with bark (or two inch thick branches cut into half inch discs), birch sticks (or smaller branches cut into about two inch long pieces), wooden scrapbook hearts, and a hot glue gun (I used the glue sticks made for wood projects, but I'm sure regular glue sticks would work too). We tied our story into the love of Christ; like the tree gave his life for the little boy because he loved him, Jesus also gave his life for us because he loves us. 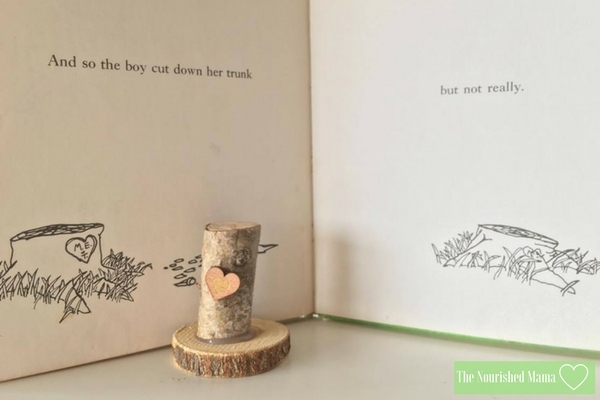 The tree stump serves as a reminder of this sweet book and also of how much God loves us. It was so easy and I know a lot of teachers and parents read this book to their class, so I thought I would pass along the instructions. Glue wood sticks on top of wood disc. Glue heart on the front of the tree. That's it! To get little kids involved, I let them pick out their discs and tree stumps. Then I asked them to tell me where they wanted their tree branch and I put the glue on and let them stick the stump onto it. I also asked them where they wanted their heart to go. I stuck those on though because the hot glue oozes a bit. If you make these, please share pictures on my facebook page!